Congratulations! It’s Day 21 of our 21 Day Yoga Challenge. I hope you’ve enjoyed my gift of yoga videos, meditations and recipes. Our next 21 Day Yoga Challenge starts April 1 (no kidding!). So how did you do with the challenge? 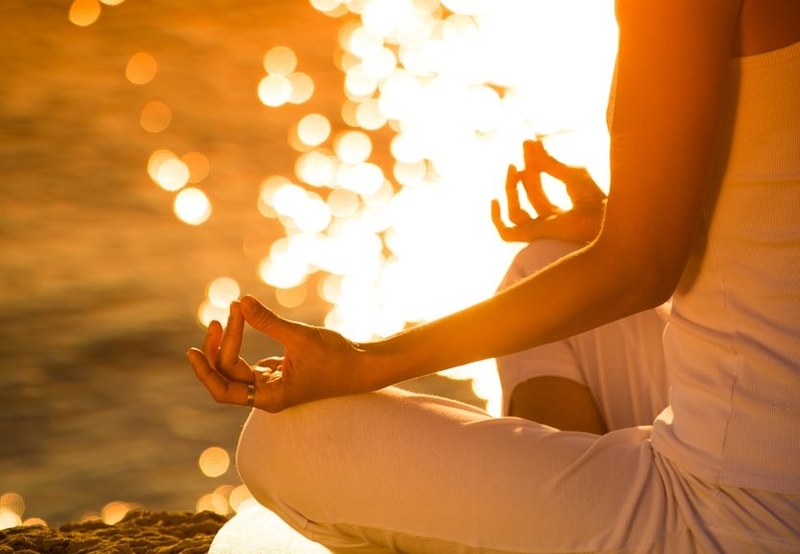 Were you able to practice yoga and meditation more than what you normally would? I hope so. The 21 Day Yoga Challenge asks that you set aside at least 10 minutes a day for yoga and 10 minutes a day for meditation. However, be happy if you just got a few more days of practice in than your normally would. It’s not about perfection – all or nothing. What is the best time of day for you to practice yoga? What is the best time for you to practice meditation? What are some things that kept you from practicing? What could you do in the future to make your practice more consistent? Do you enjoy your home practice? What can you do to better enjoy your practice? Are you stuck in someone else’s idea of what your practice should look like? How can you bring more authenticity to your practice? How can you bring more authenticity to your life? What do you want your practice to look like in 2014? How do you want to feel? It’s my great honor to be your guide. Thanks for viewing my yoga video blog. I am sending you the biggest wishes for love, peace and joy. A few days ago I was walking my Whippet Olivia near my home outside of Washington, DC. There’s a long bike path popular with bikers, runners and folks walking their dogs. At a few short stretches of the path, I often let Olivia go off leash being careful that she is safe and that she isn’t in the way of any bikers. That day we came upon a woman running, who looked horrified at seeing Olivia off leash and running up to her. The woman pinned herself against a fence, turning her whole body away as Olivia tried to smell her. Olivia is a super-sweet dog, but can be prone to EGD (excessive greeting disorder). I promptly ran after Olivia, put her on leash and apologized at least three times. I also said “I can see that you are afraid of dogs.” To which she replied that she had been bitten badly by a dog in the past. I said I was sorry again and you could see the relief and gratitude flood over her. We both left unburdened by the situation. A few years ago, I probably wouldn’t have acted in the same way. Of course I would have immediately put Olivia on leash, but I probably would have done so grudgingly and would have remained ensconced in my belief that my dog would never hurt her and can’t she see that? This act of saying I’m sorry seems like such a minor and major thing at the same time. It’s just a few simple words, but those words can seem like giving over something precious – our ego and belief that we are right. Yet saying I’m sorry doesn’t mean that you share the same beliefs as others – or even that you are wrong, it means that you can have compassion for someone else’s point of view and acknowledge their discomfort or pain. I had to practice saying I’m sorry and now it comes easily, without much thought. As I’ve practiced saying I’m sorry with the small things in life, it’s made it much easier to say it to those who I’m entangled with – the important people in my life. May ____________ (person’s name) be happy. Welcome to Day 8 of my 21 Day Yoga Challenge. In this challenge, we commit to practicing at least 10 minutes of meditation a day and at least 10 minutes of yoga a day. Today’s suggested practice is to meditate with the eyes open. I learned this technique while taking a weekend workshop at the Omega Institute with renowned Tibetan Buddhist Pema Chodron. We spent most of our time in group meditation and all of the meditation was done with eyes opened. The benefit of meditating with the eyes open is that you engage with the world while learning to be still and relaxed. Try finding one point of focus and letting the eyes be soft. Allow yourself to stay in the present moment by allowing everything in – what you see, feel and hear. Notice any judgments that arise. You could also rest your gaze upon an object, such as a candle. I’ve had a few students tell me that this is the one technique for meditation that works for them. Try it more than once and see if it speaks to you. It’s Day 7 of our 21 Day Yoga Challenge. Today’s video is a reminder of how to position the body so that you can fully benefit from your meditation practice. I hope you are enjoying the Challenge. If you’ve missed some days, be gentle with yourself. If you only do yoga and meditate one day more than what you normally would, that’s a success. Feel free to send me requests for your yoga needs. I’d love to learn more about you and your practice. I wish you peace, joy and prosperity. Welcome to Day 3 of my 21 Day Yoga Challenge. For those of you who are new to my 21 Day Yoga Challenge, to participate in this free challenge, you simply commit to practicing at least 10 minutes of yoga a day and 10 minutes of meditation a day. My vlog (video blog) has over a hundred meditations and asana videos. Search key words on the side bar if you need ideas for your practice. Spend some quiet time today in meditation. Reflect on how you can live a more authentic life. Set an intention to be true to your own personality, spirit and character. Consider the following questions on how you can live more fully in your truth. If you’d like, have a pen and paper handy to record your insights. How am I not being true to myself? How can I align my thoughts, speech, heart and actions? How can I speak my truth in a non-harming way? How do I envision how I’d like to be, yet sabotage or fail to live the way I intend? How can I be more gentle and loving with myself? I hear many, many people say that they can’t meditate because their minds are too busy. But meditation isn’t the practice of not having thoughts so much as it is the practice of non-doing. It’s purposefully taking the time to stop physical activity and cultivating stillness – stilling the body and setting the intention to be fully present in what’s agreeable in life as well as what’s disagreeable. Meditation isn’t something that you either “get” right away or you don’t get at all. It takes effort to cultivate a practice where we aren’t trying to control the outcome or get to a goal. A lot of people are attached to their lists of things to do – always searching for the next activity – planning, doing, planning, doing. What would happen to you if surrendered your plans and actions just for a little bit? In your meditation today, watch your thoughts. If and when you have thoughts about the past, simply say the word “past” to yourself and release the thought. If and when you have thoughts of the future (stories, planning, etc. ), simply say “future” and gently bring yourself back to your present experience. In addition to cultivating this stillness by staying in the present during meditation, also try it during the rest of your day. P.S. Don’t forget tomorrow is “Silent Sunday”. Try to set aside at least one hour or perhaps six hours of silence. Resist the temptation to check Facebook, email, listen to music or the TV. Rest in the silence. Welcome to Day 6 our 21 Day Yoga Challenge! I hope you love this audio meditation, Meditating With Great Thought Leaders. Consider who inspires you – perhaps great thought leaders from the past, your grandmother or a wise friend. Imagine being surrounded during your meditation today by people who share a message of hope, peace and love. The following audio meditation is about five minutes long, but you can take as much time as you like listening for a message or surrendering a problem in your life. The other day someone told me that they have ANTS disease, Automatic Negative Thinking Syndrome. The acronym makes me laugh and I used to be able to relate to that pattern of thinking. Many people have a habit of jumping to the worst conclusion and excessive worrying. The thinking is that if we imagine the worst situation, we’ll be prepared and less likely to be hurt. The delusion is that we can control life and others. Practicing yoga teaches us to live more fully in the present moment. We get to choose the perspective with which we view life. We learn that we are not our thoughts and that we can choose thoughts that are helpful to us. I’m blessed to be surrounded by friends that are filled with gratitude. It’s such a joy to be in their presence. I practice gratitude as well and have seen what a vast difference this has made in my happiness and health. Studies have shown that people who practice gratitude are much more able to cope with life’s challenges. They are less stressed and have higher levels of personal growth, purpose in life and self-acceptance. They are physically, emotionally and mentally more healthy. Embracing gratitude is a practice. Just being grateful occasionally doesn’t make you a grateful, happier person. Just like meditation and yoga, it’s the continual practice that allows us to build healthy habits. The more you do it, the more you can experience its positive effects. 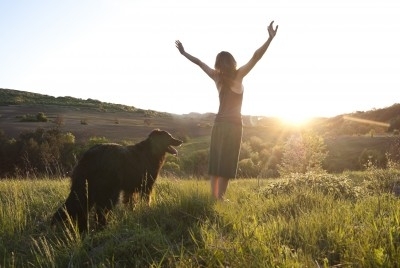 In your meditation practice today – and throughout the day, practice gratitude. Notice all the things that are right in your world. Be aware of beauty and what you are attracted to. Bless all things good. It’s Day 3 of your 21 Day Yoga Challenge. I’m so grateful to be walking the path with you. Welcome to my new 21 Day Yoga Challenge. We set the intention during this challenge to practice at least five minutes of yoga and five minutes of meditation a day. 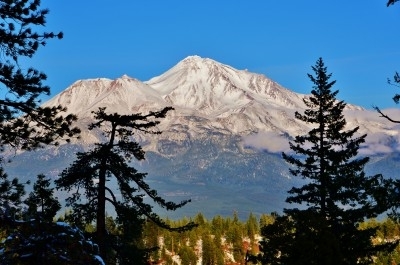 The mountain I’ve been thinking about today is Mount Shasta (above) which has a magical majesty. I am sending you light and love. Today I’ve been floating in a state of the deepest peace. The circumstances of my life are far from perfect, but I have the clearest truth that all is right in this world. I have an attitude of gratitude for everything in my life – what’s agreeable as well as what’s disagreeable. I feel completely present, yet clear that my future is perfectly designed and purposeful. Have you ever felt this way? Learning what brings you the deepest joy is essential. We all have parts of our life that are more joyful than others. If we are not careful, we can go through life by rote, adding to our to-do list without much thought. Practice being aware. Once you learn what brings you a sense of peace and joy, practice doing those things more. Practice decreasing the time spent on things that make you unsettled and unfulfilled. Learn to make peace and joy a priority in your schedule. It’s easy to fill up the day with things that don’t really matter. The great Buddhist monk, Thich Nhat Hanh, says that peace is a practice, a habit. Perhaps in your meditation today you can take some time to reflect on what brings you peace, joy and purpose. It’s the last day of our 21 Day Yoga Challenge. I hope you’ve been able to expand your yoga and meditation practice. Even if you did just a little more than you did last month, I call that a big success. I’ll have a new 21 Day Yoga Challenge starting on August 1. Ready to join me? Meditate On This: How can I be of service? A core premise in yoga is the understanding that we are all connected, that we all share the Universe’s light and love. In today’s world it’s easy to forget that. We become isolated. Even when we are surrounded by people, we can hold on to a perspective that keeps us focused so much into our own needs, desires and problems that life seems small and our problems large. My suggested meditation today is to find some time to shift your focus to how you can be of service to someone. Perhaps today your practice of being of service to others is something small, yet significant such as taking a moment to really listen to someone, to acknowledge the presence of another, to smile at a stranger. Perhaps it’s being able to receive. 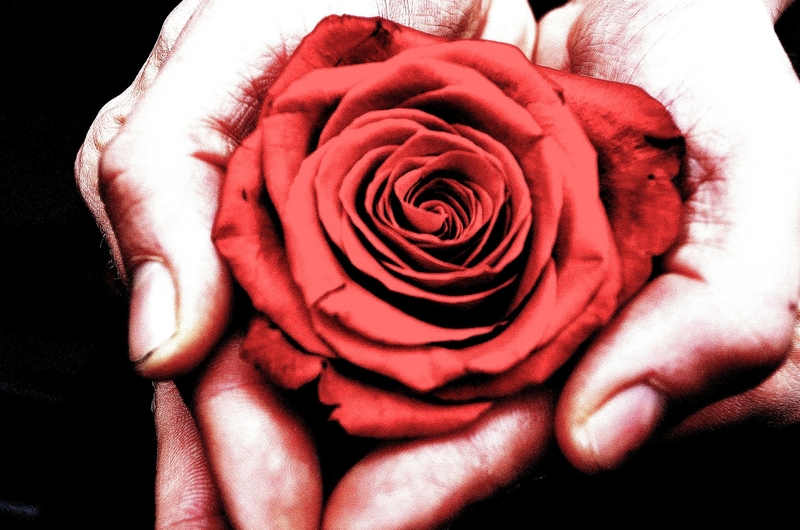 When you fully receive a compliment, a gift or the attention of another you allow the giver to profit. When we shift our perspective outside of ourselves, we can experience peace of mind and serenity in practicing being a human-being, not a human-doing. In giving to others, we also give to ourselves. It’s Day 16 of our 21 Day Yoga Challenge, I hope this note finds you happy, healthy and inspired. We have five more days left in this challenge. Let me know how I can be of service to you as you practice yoga and meditation. It’s day 9 of our 21 Day Yoga Challenge. How are you doing with the challenge? Have you been able to make some space for your yoga and meditation practice? If you’ve missed some days or are just getting started, just allow that to be. Let go of the past and set a positive intention for your practice going forward. Today my suggested meditation is to meditate with a dristi. Dristi means a point of focus and can also refer to inner intelligence and wisdom. 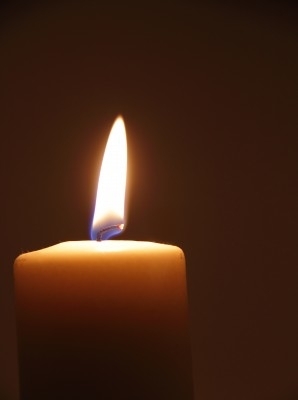 With the eyes open and soft, try meditating today while gazing at the flame of a candle. Let the eyes be so soft that perhaps your vision blurs. Try to bring all your concentration on the flame of the candle. If or when you slip into thoughts of the past or the future, gently bring your focus back to the flame. There are a plethora of ways to meditate. Some ways will work for you, others won’t. Try different techniques and discover what speaks to you. I will be teaching tonight, July 9, at National Harbor for sunset yoga at 7 pm. It’s a free class. If you are in the metropolitan DC area, come and join me tonight. For more information about the location and directions, go here. See my “classes” page for additional dates that I will be teaching. I wish you peace and joy. Happy Birthday, U.S.A.! It’s a holiday for those of us in America and what a great day to be outside. I am going hiking with one of my best friends and with my dog, Olivia later today. 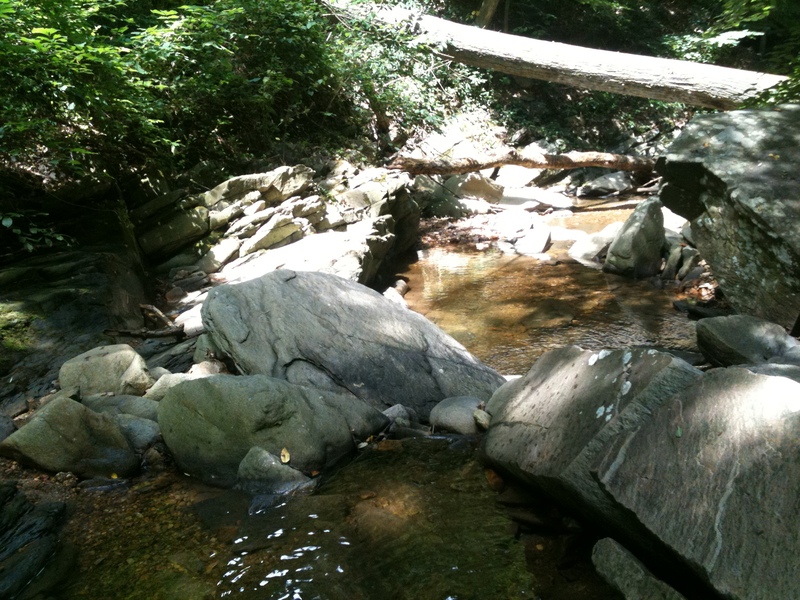 We will stop at this special place to the right to spend a bit of time meditating to the sound of water flowing. I’ve always loved the sound of water — the waves crashing in the ocean, the sound of rain, even the sound of water in the shower has such a grounding effect. Today try finding a body of water to meditate with. It could be a public fountain, a waterfall or a gurgling brook. If you are new to meditation, today’s practice is very simple. Simply let your mind focus on the sounds in the present moment. Relax into everything – what is agreeable as well as what is disagreeable. If or when your mind slips into thoughts of the past or the future, gently bring your awareness back to the present by focusing again on the sound of the water. Enjoy and let me know where you choose to meditate today! It’s Day 21 of our 21 Day Yoga Challenge. I hope you had a great time and expanded your practice. If you missed a few days of meditating or yoga (or almost all days), no worries. What’s past is past. The goal isn’t to have a perfect practice, it’s just to practice more and to practice being aware. I like to offer my yoga students different tools from the yoga toolbox, so to speak. There are a thousand ways to meditate or to bring your consciousness to the present moment. Today, let’s use the sense of smell to hone our concentration and expand our awareness. Enjoy the video above. 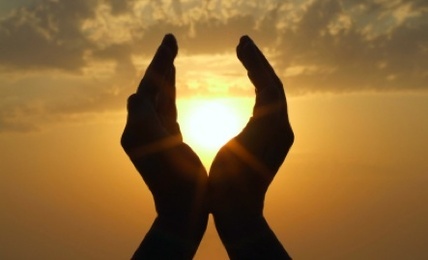 Today also is Summer Solstice – my absolute favorite day of the year. Promise me that you’ll enjoy nature today and the beautiful light of the Sun. A new 21 Day Yoga Challenge starts July 1. I’ll have even more for you next month. A main benefit of meditation is the clarity it provides around an issue that we are working with. When we meditate, we’ll often suddenly get insight into a problem or the exact wording for a proposal. We’re thrilled. Then we go back to our meditation. Fifteen minutes later, we’ve forgotten the solution. My point is that it’s not cheating to have a notebook handy to capture these gems. Simply stop your meditation. Take notes and then go back to meditating. The Universe has a way of delivering solutions when your mind is at rest. Do yourself a favor, capture them. I recorded this audio meditation based on the very traditional so hum meditation. This is a simple but very effective tool. By focusing and coordinating the breath and a simple mantra, the mind and body relax. My audio is about 12 minutes long. Once you’ve listened to the audio meditation and have the concept, you can use the so hum technique on your own if it speaks to you. I just recorded this seven minute audio meditation which is my version of meditating on the witness or consciousness. I think this turned out great. Let me know if you like it. For those of you who would like to record your own voice with my words. I’ll copy my words below. If you are a yoga teacher and use this meditation in class, consider sharing my website with those who might benefit from it. I wish you a happy and peaceful day! Imagine that you are above your body looking down on yourself. As you do this, notice that you become the witness. Sense your body. Can you feel the energy in your hands? Can you feel the energy in your feet? Can you feel a subtle energy coursing through the body? Feel what is agreeable in the body. Now feel what is disagreeable. Now notice your thoughts for the next several breaths. Become aware of the thinker in you. Just notice without bringing judgment to the thoughts in your mind. Now reflect on your emotional state. Are you happy or sad? Are you content, frustrated, edgy or relaxed. Take a few moments just to notice. Consider that you are the witness. This witness could also be called consciousness. Because you can witness the sensations in your body, you are not your body. If you were just your body, you wouldn’t be able to distinguish between feeling and noticing your feelings. But you can notice your feelings. If you were your thoughts, you wouldn’t be able to recognize your thoughts, you would just be your thoughts. You are not your thoughts. You can dissolve a thought and replace it with something else. You are not your feelings. Feeling and emotions come and go. Notice how temporary your feelings and emotions can be. Consider this: You have much greater possibilities when you release your identification to sensations, feelings and thoughts. Release your identification to your sensations, feelings and thoughts. Give yourself a retreat today. Meditate and practice yoga for at least five minutes each. Here’s an audio meditation that you can download to help you relax and focus on the breath. It’s Day 21 of our 28 Day Yoga Challenge. I hope you are feeling inspired and happy. Let me know how you are doing with your meditation and yoga practice. The practice of yoga is the practice of relaxing into everything, what’s agreeable as well as what’s disagreeable. We call “doing yoga” practicing yoga because at best there is no end point. There is no getting it right. There is no competition or judgement. Try an experiment today. At some point during the day, catch yourself getting irritated, angry, annoyed or hyper. Then as you bring some awareness to what’s disagreeable – a person, a feeling or life simply not going the way you planned, take a moment to be still. Try to release your expectations. Try not to label the situation as either good or bad. Take some deep breaths. Relax your eyes. Consider that each day we have the opportunity to change our perspective. Letting go of expectations and judgement opens our lives to joy. Most of us habitually breathe into the upper front chest. This lovely meditation incorporates using the front and back body, plus the upper and lower parts of the torso. This is one of my favorite meditations. It can significantly enhance your health by feeding prana (energy) into the organs of the body. Enjoy! In the video above, I demonstrate one of my favorite meditation techniques. This is a very traditional yoga practice. You’ll notice that the left hand works with nine digits of the fingers and the right hand works with twelve digits. 9 x 12 = 108. 108 is a very auspicious number in yoga, representing many things including 108 of the Yoga Sutras. If you give this a try, let me know how it works for you. I have lots of great suggestions to keep you going this month, so check back each day for new asana videos, meditations, great recipes and tips for healthy eating. Here’s a tip for healthy living. We all seem to suffer from allergens or congestion at some point. Some of us on a daily basis. A neti pot has long been used in the yoga community as a natural form of therapy for allergies and as a preparation for pranyama – the important breath work of yoga. Most yoga studios sell neti pots. They are also easy and inexpensive to buy online. I’d love to hear your experiences. Care to share? I haven’t missed a day of yoga and meditation since I made the commitment on January 2nd to practice everyday this year. As it goes, one positive thing leads to another and I’m also more conscious about my diet. When I say “diet” I mean what I eat each day, not “diet” in the form of trying to lose weight. Although it’s a funny thing, I have lost 5 pounds without “dieting”. I’ve always enjoyed eating healthily. I love fruits and vegetables and know that I feel so much better when I eat well. But like all of us, from time to time I slip into eating patterns that could be better. So now is the time to pay a bit more attention and be present (ah, yoga summed up in two words!) with my food choices. Here is what I ate yesterday. Take a look and let me know your thoughts. Love it? Hate it? And I’d really like to know what YOU eat. I’m kinda of geek like that. Call me a food geek. If you like this post (you can actually like it below to let me know), then maybe I’ll feature this once or twice a month.